E-Collar, Leash, Treats, Toy, and the Dog. How to Manage it All!. The goal is to get the dog to the point that you need less equipment in the future. I know a lot of dog trainers, hunters and dog sports enthusiasts. One thing we have in common, beside our love of dogs, is we all tend to have a lot of "gear". We acquire lots of stuff over time. Tool, leashes, toys, and all sorts of gear that we hope will enhance our training programs and our dog's abilities to perform better. 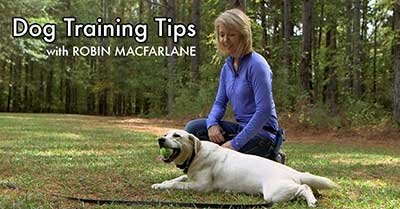 For a novice just managing the leash, the dog, and a few treats can feel like a lot. Now when we add in an e-collar transmitter it may start to seem over-whelming. When you're feeling a bit daunted by juggling all the equipment, remember that this is a temporary phase that you are working through. The goal is to get the dog to the point that you need less equipment in the future. Once the dog is e-collar literate you won't need the leash or long line. As the dog gains greater reliability the e-collar remote can be in a pocket, on a belt clip or hanging from the lanyard around your neck. And if you put in the training work, eventually you will need nothing more than your voice. But for now, here are some tips on managing it all! Pull-Quote= The goal is to get the dog to the point that you need less equipment in the future.